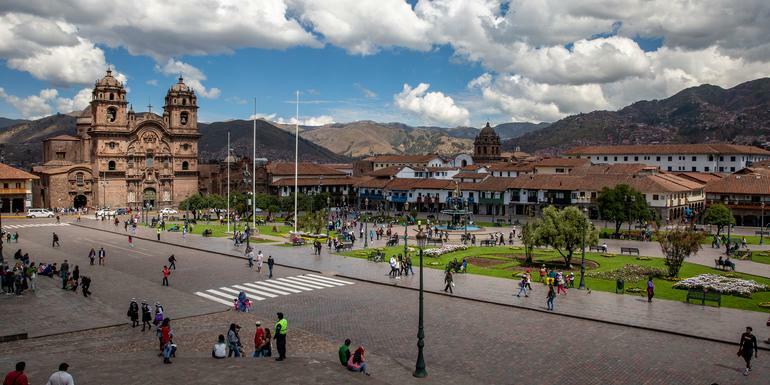 Your Discover Moment: Cusco. Arrival transfer. Kuelap fortress visit (Chachapoyas). Gocta waterfall hike. Royal Tombs of Sipán Museum (Lambayeque). Lord of Sipán tomb visit. Dama de Cao mummy visit. Chan Chan adobe city visit. Two-day Sacred Valley tour including Ollantaytambo, Moray, and Pisac ruins and pre-Incan salt pans. Traditional pachamanca-style dinner. Scenic train and guided tour of Machu Picchu. Internal flights. All transport between destinations and to/from included activities.